Bureau Annex was initiated 2010 from Heike Langsdorf and Christiane Huber for radical_hope in Brussels. Participation is here being seen as a necessary fundament for the production of art. 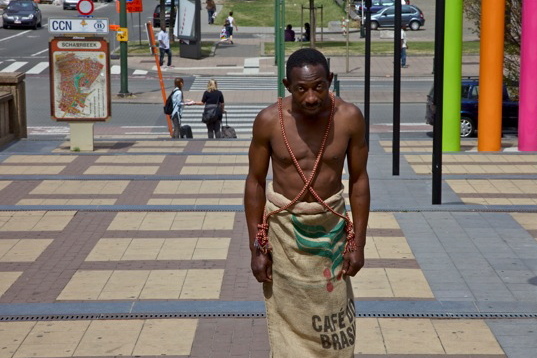 In the first phase of Bureau Annex inhabitants and people frequenting the area of the north station in Brussels joined a performance done by the collective C&H. So the Postcard From the Future/Gare du Nord was directed in Cooperation with la Maraude.